Hartlepool United have extended midfielder Jake Gray's loan deal from Crystal Palace until 2 January. Gray, 19, joined Pools at the beginning of November having made two League Cup appearances for his parent club and also had a spell at Cheltenham. 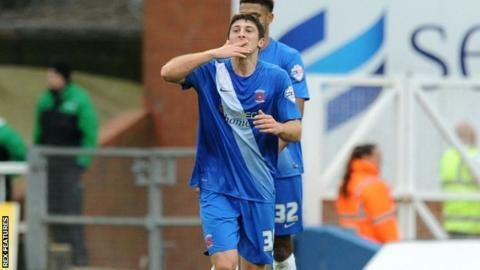 The winger has played three games for Hartlepool, scoring twice in their 3-1 league win over Leyton Orient. "I'm really pleased that Jake will be staying with us," manager Ronnie Moore told the club website. "I know he's enjoyed his time with the club so far. I am sure he will continue to gain from playing regular senior football."